Carl Barat had a crowd singing along to Auld Lang Syne on New Year's Eve in London (31.12.13). The former frontman of The Libertines played a DJ set at This Feeling at Vibe bar in Brick Lane. The musician was joined by Reverend And The Makers, who premiered new songs, and The Rifles, who release their fourth album 'None The Wiser' this month. 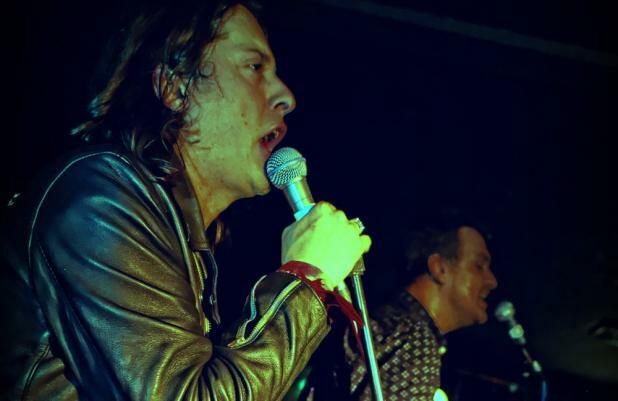 One party-goer said: "Last year The Rifles and Miles Kane teamed up, this year it was Jon McClure [Reverend And The Makers] and Carl Barat for Auld Lang Syne at midnight and Message To You Rudy. "At the end of Jon's set Carl nicked his guitar and played Libertine's hits Time For Heroes and Don't Look Back Into The Sun whilst feeding the crowd rum from his bottle! "Yet again, This Feeling proved there's no better place to see in the new year for a rock 'n' roller." Back in August, Carl confirmed on his Facebook page that he had been working with The Bronx's Joby Ford in America and has nearly completed his next solo record, the follow-up to 2010's self-titled debut. He said both Beastie Boys drummer Fredo Ortiz and Miike Snow frontman Andrew Wyatt would appear on the record, believed to be due out this year. No release was mentioned although he did say he was listening to final mixes of the album. He wrote: "It would seem that my relationship with my guitar is all patched up and further reinforced like what tends to happen with broken bones." The former Libertine and member of Dirty Pretty Things heads out with his newest band The Jackals.